Objective Banana Boat is one of the world’s most popular and trusted brands of sun care products that offers a superior protection to fit in with your active lifestyle. They wanted to educate consumers that sunscreen is not just for use at the beach or outdoors. That’s because the different conditions of the sun require different types of protection, hence consumers would require sunscreen wherever they may be. 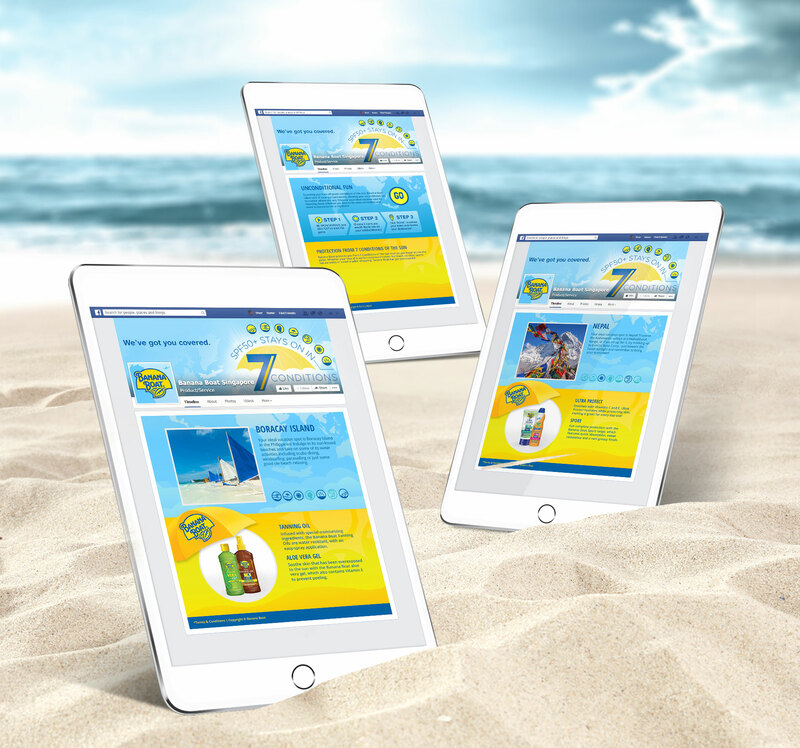 Solution We created a Facebook application to educate consumers about how sunscreen application is not limited to the outdoors. Consumers were asked to complete three key activities on the app, complete their profile and the app would then determine a destination and a suitable Banana Boat product for them. Consumers who completed the three activities on the app also stood a chance of winning a trip sponsored by Expedia.